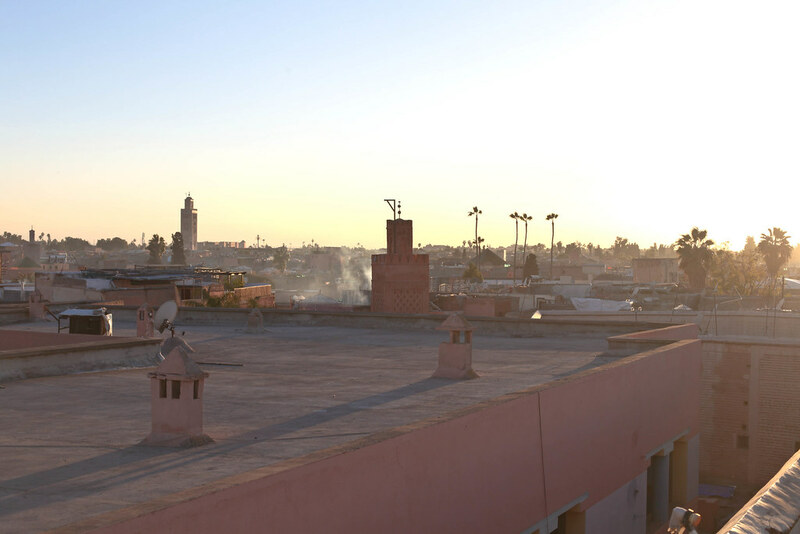 Marrakech is a feast for the senses. It’s bewilderingly busy, unbearably hot, completely chaotic and smells potently of spices. There is no city which overwhelms your senses as Marrakech does, but it remains one of the most colourful and exciting place I’ve been. It’s a city which you have to take as it comes. 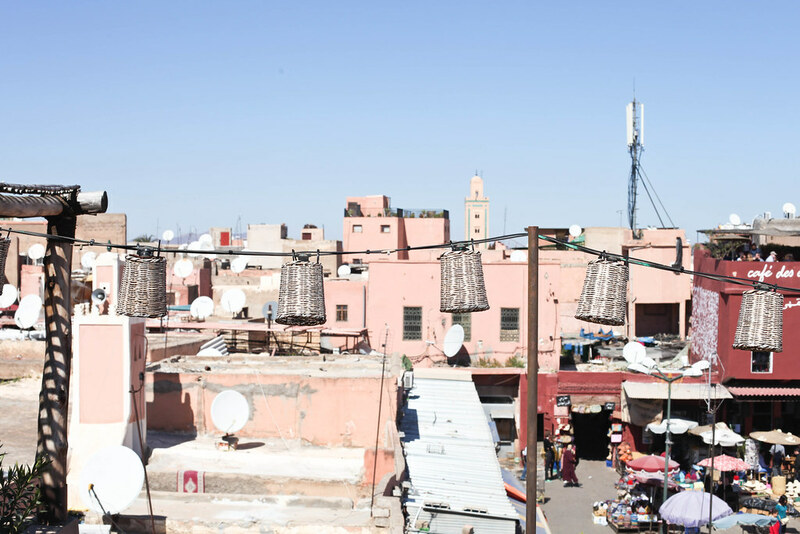 Get lost in the maze of souks, haggle with the sellers, be welcomed in for mint tea and be open to new experiences. 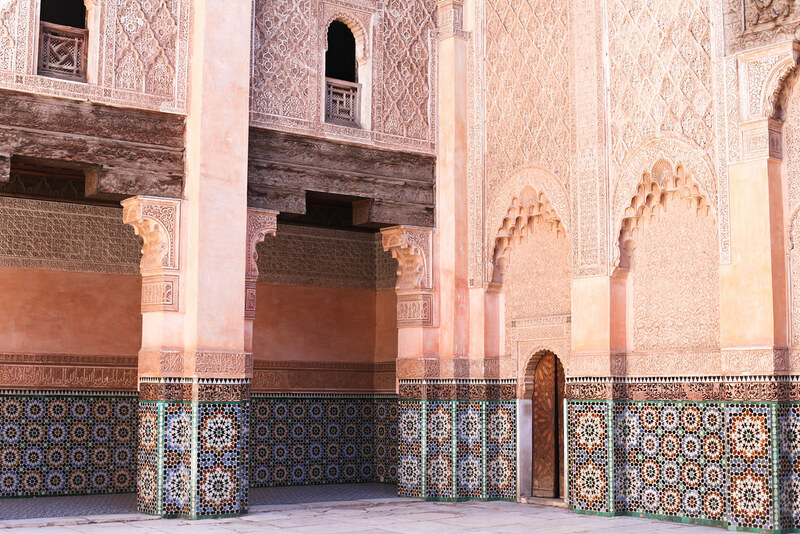 This little guide is by no means exhaustive but should give you a well-rounded insight into Moroccan culture. Whilst tourists cannot enter inside this mosque, its exterior is beautiful enough to marvel at. 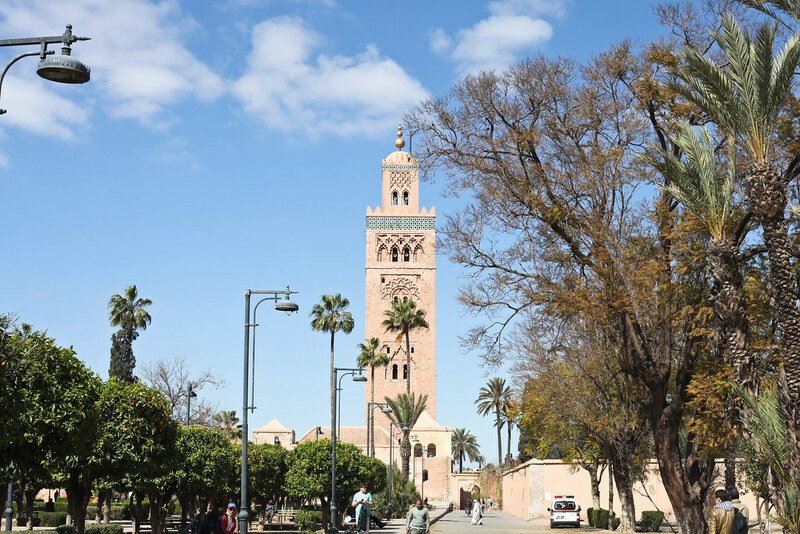 It has become the symbol of Marrakech and will help you to navigate your way around the city and always find your way back to the main square Jemaa El Fna. 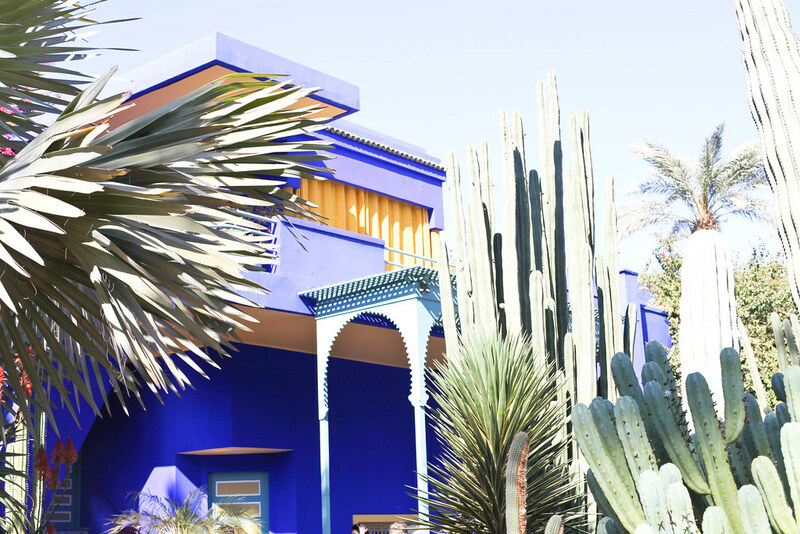 Once owned by Yves Saint Laurent and gifted to Marrakech after he died, this garden has as much style as he did. 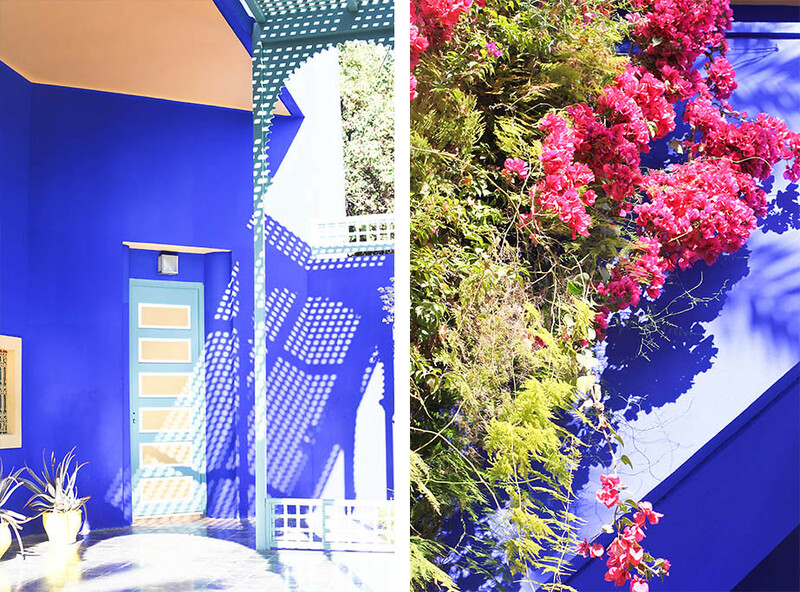 One of the most colourful gardens you're likely to visit due to the highlights of the electric Majorelle blue which bring the garden to life. Cacti and exotic flowers line the path providing a calm away from the chaos of the city center. This cafe is a truly phenomenal find. 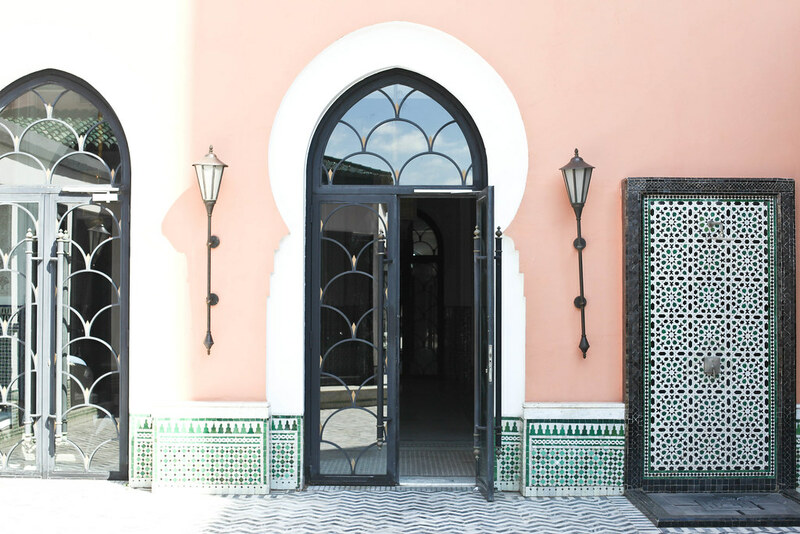 In the style of a traditional Riad, it has an open roof where light pours into the cafe dancing off the tall walls. 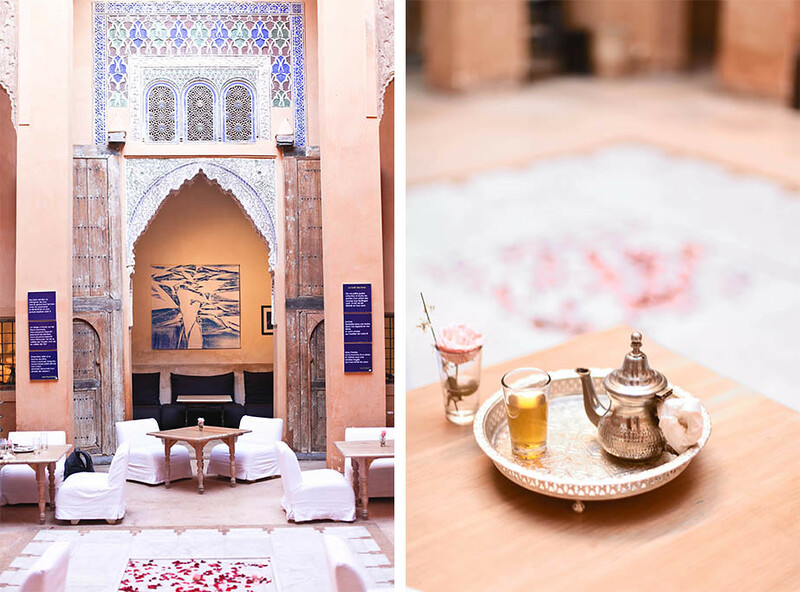 The definition of Moroccan culture with stucco archways, intricate carvings and rose petals floating in a water pool on the ground. It's tricky to locate as it lies behind a maze of souks and you have to knock to enter, but it feels all the more special once you do find it. 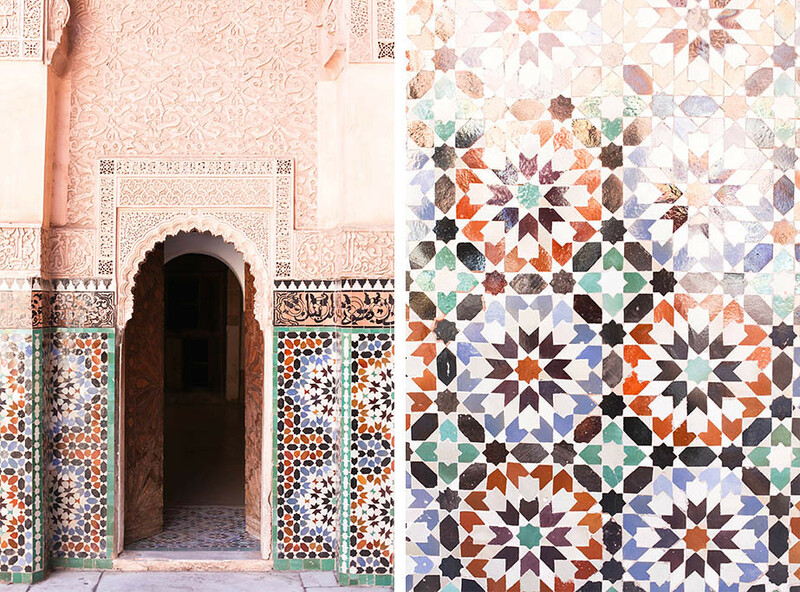 The jewel of Moroccan culture; orange coloured walls are enhanced by vibrant mosaic tiling and carved wooden-lattice details. A truly stunning example of Moorish architecture which reminded me an awful lot of the Alhambra in Granada. The colours and intricacy will blow you away. 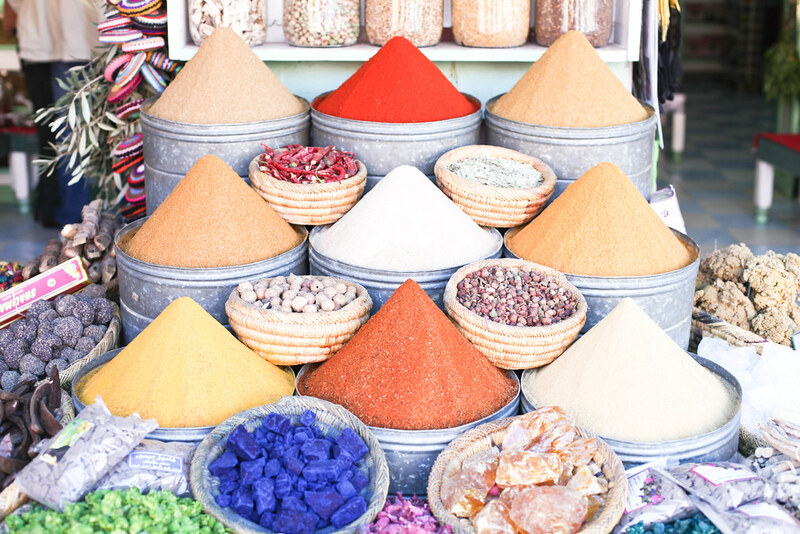 The souks are a sensory overload; everything tempts you and everything grabs your attention from the glistening lanterns in the sunlight to the piles of vibrant spices making you hungry for Moroccan food. There are a million treasures to be found within the endless stands of embroidered rugs, silverware and died leather. You'll pick up pieces which you won't find anywhere else in the world and for very reasonable prices. This restaurant has it all: an open terrace, an interesting menu, astoundingly good food and once more they even serve alcohol, a real rarity in this strict Islamic city. 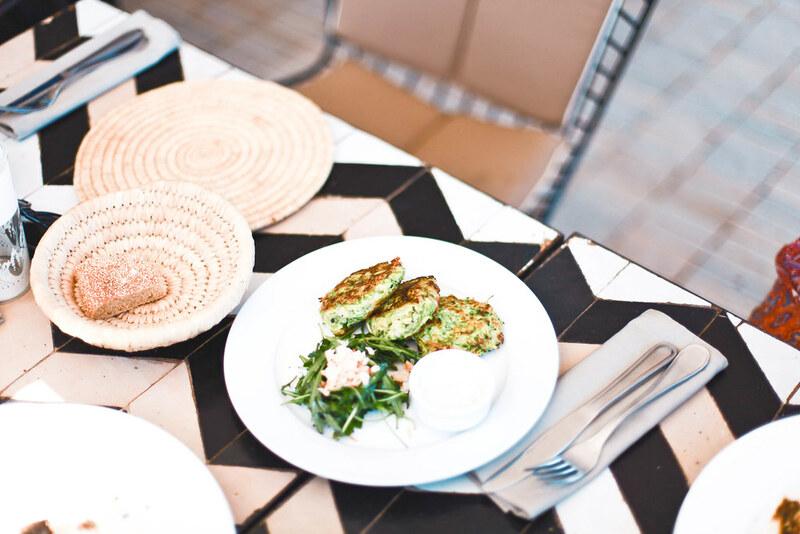 Order a selection of dishes for a real Moroccan feast; think steaming harissa tagines, mezze plates and herb infused green couscous. This little museum provides an interesting insight into North African culture. The photography allows you to see what life is really like in Sub-Saharan Africa. Make sure to climb the spiral staircase to the panoramic terrace and if possible try to catch the sunset over the city.